1. Preheat oven to 190 C / Gas 5. Grease a muffin tin or line with paper cases. 2. In a large bowl, cream together the butter and sugar until light and fluffy. Stir in the eggs one at a time, beating well with each addition, then stir in the vanilla. 3. In a separate bowl, stir together 250g flour, baking powder and salt. 3. Stir the flour mixture into egg mixture alternately with milk. Fold in blueberries. Spoon batter into prepared muffin cases. 4. In a small bowl, mix together 2 tablespoons flour, dark brown soft sugar and cinnamon. Rub in butter until mixture resembles coarse crumbs. Sprinkle topping over unbaked muffins. 5. Bake in preheated oven for 25 to 30 minutes, until a skewer inserted into the centre of a muffin comes out clean. 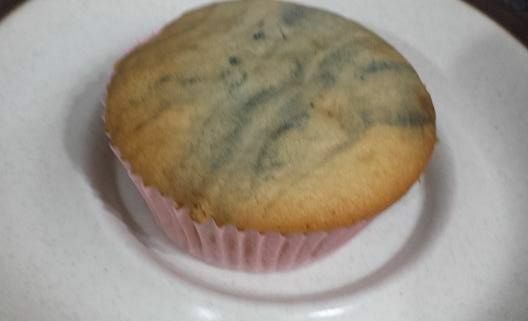 Note : the picture has no crumbs, you can do just the basic blueberry muffin or enhance it with crumbs. Thats up for you to try. Thanks for following my recipe.